In a chapter of “Freakonomics”  entitled “Would a Roshanda by Any Other Name Smell as Sweet?”, Steven Levitt and Stephen Dubner examine the influence that a given name can have on a child’s future, from their performance at school to career opportunities and beyond. Many parents believe that the name they choose for their child will have a significant influence on their future, and there is certainly data to support this idea. However, there is also evidence to the contrary. Levitt and Dubner cite the real example of two brothers named Winner and Loser. Loser turned out to be a success, while Winner was appreciably less fortunate. It is probably reasonable to conclude that a given name is only one of many factors which contribute to a child’s destiny. 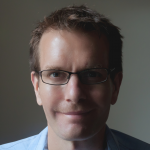 Levitt and Dubner further speculate that the name chosen for a child reflects more on the parents (specifically their care, intentions and status) and that it is these factors, rather than the name, which has a greater influence on the upbringing of a child — and hence his or her future. Although there may be a correlation between names and destiny, there is possibly no direct causal link. Levitt and Dubner also considered the distinct naming patterns among black and white Americans, presenting some intriguing results — but that is a story for another day. 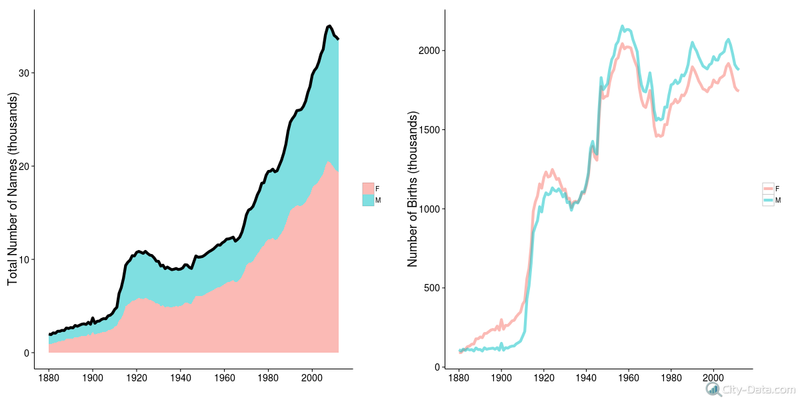 This series of three articles will look in detail at the evolution over time of given name usage in the United States. The analyses will be based on data compiled by the Social Security Administration (http://www.ssa.gov/oact/babynames/limits.html) extending from 1880 to the present day. These data are essentially complete but, in the interests of privacy, exclude those names which have fewer than five occurrences. We’ll start by taking a high-level look at the number of given names. At the end of the 19th century there were only around 4,000 different given names in use around the U.S. By 2012 this number had grown to more than 33,000. The plots below show how the number of given names has changed with time. The trend towards greater variety is readily apparent. However, this trend is by no means uniform. There was a dramatic increase around the outbreak of World War I, followed by a decade (roughly 1920 to 1930) during which the number of names being used actually declined. After that there has been a steady increase in the number of names, reaching a peak in 2008 when 20,430 and 14,598 different names were given to girls and boys respectively. If one compares the number of names (left panel) to the number of births (right panel), an interesting trend emerges: the explosion of names around World War I is mirrored by a sudden increase in the number of births. However, the next peak in births, following the end of World War II, was not accompanied by a significant increase in the variety of names. It’s possible that these “Baby Boomers” were more or less satisfied with the range of names already in use. Note that the number of births could be viewed in a different context by normalizing to the size of the population: this would give us the per capita birth rate. However, for the purpose of comparison with the number of names, the absolute number of births is a more meaningful statistic. Interestingly, there is almost always a greater variety of girls’ names. 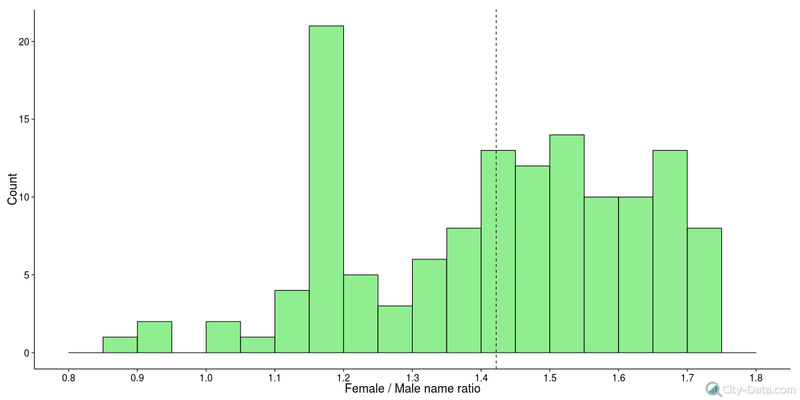 The histogram below shows the distribution of the ratio of girls’ names to boys’ names calculated on an annual basis. It is clear that only a handful of years saw a greater variety of names assigned to boys than girls. On average (dashed vertical line), 42 percent more names were assigned to girls than boys. The upward trend in the variety of names seems to be driven by only a few states. California, Texas and New York made the largest contributions to the growth. Some states, like Alabama, North Dakota and Wyoming, experienced very little growth at all. Interestingly, these states are amongst the most conservative states according to a recent survey by Gallup (http://www.theblaze.com/stories/2013/02/01/here-are-the-most-conservative-liberal-states/). This makes some sense — they are probably rather concerned about tradition and preserving their heritage. However, the converse does not appear to hold: the states with the most rapid growth in names are not high on the liberal end of the spectrum. Ideology is evidently not the only factor fueling the growth in names. The gender ratio has also evolved dramatically over time. 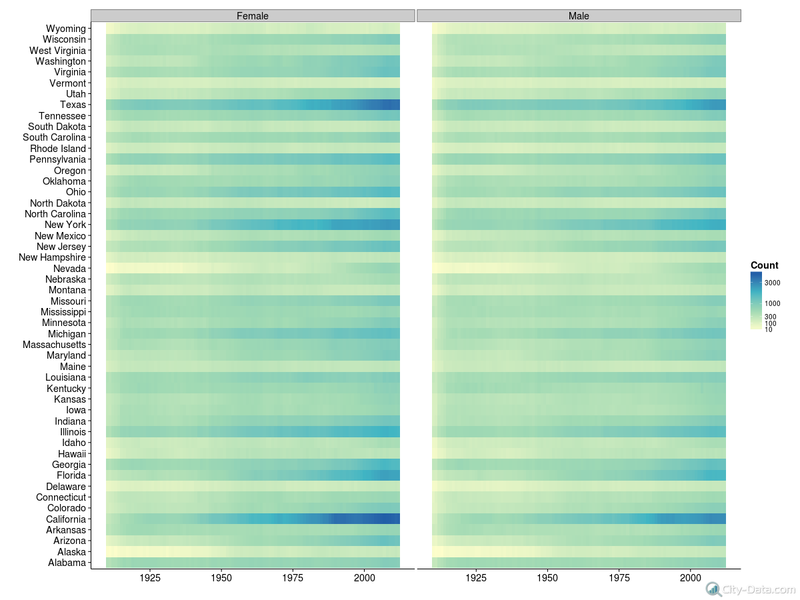 The choropleth below shows how the ratio of girls’ names to boys’ names has changed over time for each of the continental states. Nevada is the most dynamic, with the balance regularly swinging back and forth between the genders. The number of girls’ names was consistently dominant across most states for an extended period between 1950 and 1990. After this, boys’ names gain ascendancy is some states. This is particularly evident in the northwest states of North and South Dakota, Idaho, Montana and Wyoming. California and Texas, in addition to having an enormous range of names, also appear to use a far greater variety of girls’ names. If Jim Morrison was right, then these data suggest that some states are more eager to separate themselves from the past. By using new names, freshly invented or co-opted from elsewhere, they are hoping that each new generation will be different from the last. Other states are quite happy with the pool of given names remaining more or less the same. Perhaps they were happy with the last generation? This analysis has not taken the influence of nicknames and derivative names into account. Is it possible that the excess of girls’ names is caused by the adoption of cute variations of existing names? These issues will be considered later in the series, in addition to examining the prevalence of names that are used across both genders. Levitt, Steven D, and Stephen J Dubner. 2005. Freakonomics. HarperCollins. I want to know how the name Gilbert ,came from. I am Black American. And Graduated from Malone High, Malone, FL. But I grew up on 222plainview road. Under my grandmother, Mrs. Mandy O. Jones. My father name was Robert. Gilbert. Whom marryed my mother,Savannah,Jean, Jones.Both have since passed away.and my grandmother.please find out all the information you can about the Gilbert. Name.